I just bought a Gamecube (DOL-001) and it doesn't have the Digital AV out. Is that common? Because I read all over the internet that all DOL-001 models had digital AV. Have I just discovered a new revision? Re: Do Gamecubes (DOL-001) without Digital AV exist? I would guess it's probably newer model in a DOL-001 shell that someone replaced. Hmmm, quite weird. It may be a repaired/opened unit with a dol 001 outer (lower) casing with dol 101 backplate and innards. 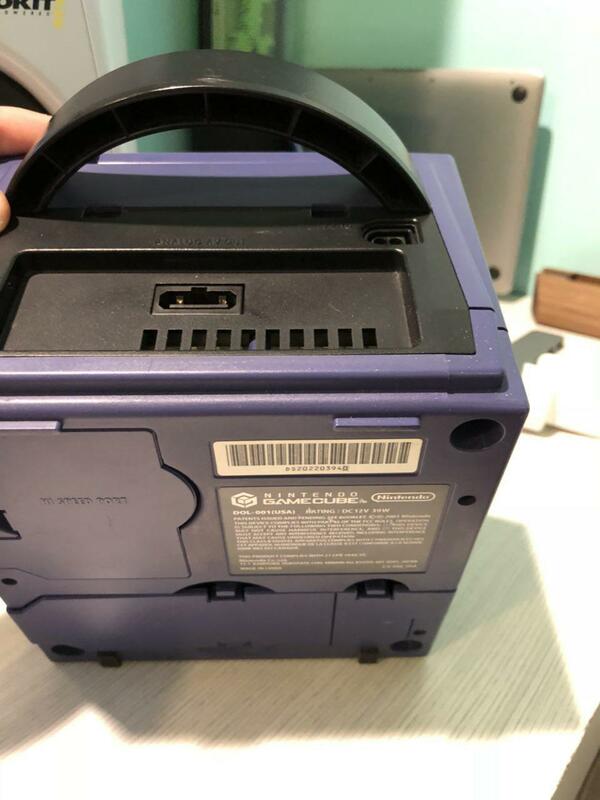 If the casing has a hole for the serial port 2, but no actual connector from the motherboard that may very well be the case and thus being a gamecube that has been disassembled at some point in time. 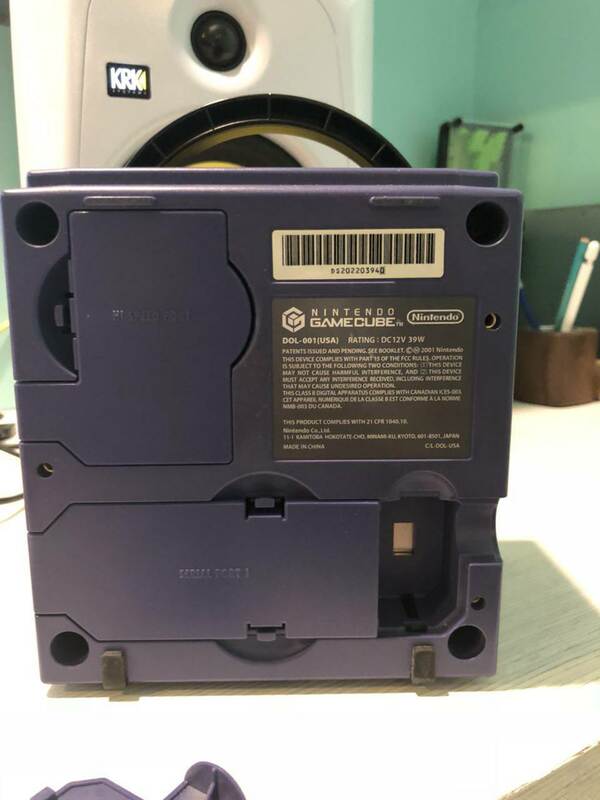 The gamecube nameplate should be removable (if it is a dolphin 001 case originally belonging to the lower half case, that is) further evidencing the above is likely true. The opposite is not possible I believe; dol 001 innards and dol 101 casing due to the serial port 2 on the motherboard but no hole in the casing. tesla246 wrote: The opposite is not possible I believe; dol 001 innards and dol 101 casing due to the serial port 2 on the motherboard but no hole in the casing. I purchased some broken GC years back, seen one with dremel (rotary tool) cuts, and one with the serial port 2 snapped off. It's definitely a case swap, the rear panel color is supposed to match the rest of the console. Streetwalker wrote: It's definitely a case swap, the rear panel color is supposed to match the rest of the console. I'm not saying this statement is wrong, DOL-001 had matching rear panel color (at least the common colors ones). But I don't recall seeing a platinum(silver) or indigo(purple) rear panel color on the DOL-101 models. I've seen a bunch of black panel on platinum dol-101 that i believe are official. I also recall seeing black panel on indigo dol-101, but i can't recall if they seemed official, did indigo dol-101 even exist? I don't recall seeing the sticker jewel on indigo cubes before.